Previously given little attention, mold has become of major concern to building owners and managers throughout the country. This has resulted in substantial risk for property owners and managers, fueled by media coverage of a few high profile mold claim cases. Astex Environmental Services(AES) offers a full range of mold assessment services designed to help building owners and managers understand and manage mold concerns, and to properly characterize potential exposures and their impact on human health. Our approach is based on sound science and a thorough understanding of concerns surrounding mold in buildings. Our staff performs all of our mold-related services. 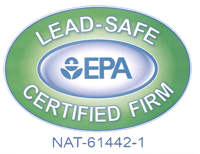 AES is particularly knowledgeable in state-of-the-art assessment and remediation techniques, building management practices, and legislative initiatives affecting mold in the built environment. This allows us to develop the most cost-effective, sensible and defensible strategies and solutions to any mold problem. The client can also be assured that if remediation is necessary, the health and safety of workers and occupants is protected at all times throughout the process. Building inspection, field sampling, and analysis and interpretation of the samples. Proactive inspection programs to ensure proper building management to avoid the accumulation of moisture that supports mold growth and contamination. Emergency response plans to manage water damage related events and avoid mold contamination. Development of health risk communication programs to interpret technical findings. Data analysis pertinent to potential exposures and exposure reconstruction. Preparation of remediation plans, performance work plans, and clearance criteria for bids. Monitoring and oversight of remediation activities. Periodic re-inspection of remediation work to ensure continuing satisfactory performance. Mold awareness and mold remediation training. This entry was posted in Mold Assessments. Bookmark the permalink.